I’m so glad it’s Friday and Halloween weekend at that! 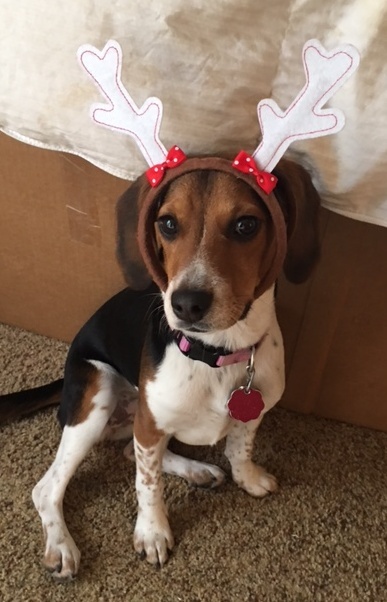 We’ve decided what costume Scout is wearing, it’s pretty much a head band of antlers. That’s all she’ll take! Here’s what I’m excited about this weekend. This weekend my church closes it’s doors so that the congregation can serve within the community. I’m headed to a Fall Fest that we’ll put together for children of refugees in our city. We’ll be face painting, playing games, and having a blast with the kids. I can’t wait to try this sugar cookie recipe by one of my favorite cooking sites, Averie Cooks. I’m using slated peanuts and Indian Corn. Scout and I are headed to a fun fest for dogs and their owners, benefiting Meals on Wheels PALS program that funds pet food and veterinarian services for the elderly. This is part of the socializing plan for little Scouty. I don’t know, it could be a disaster. Wish us luck! I love, love this non-profit organization I just learned about called Kids In A New Groove. They provide music classes and mentorship to kids in foster care. Wonderful! Read more about them here. What are you up to this weekend? Do you have little ones dressing up this holiday? Leave me a comment!